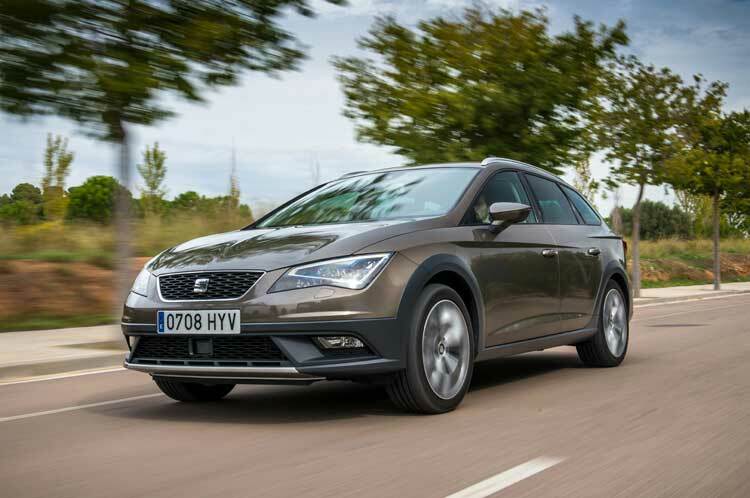 SEAT will be out in force to celebrate the 25th year of Company Car in Action (CCIA) on 16-17 June where visitors will be able to ‘X-PERIENCE’ key models from its range, from Ibiza to Leon, and from Mii to the seven-seat Alhambra. The extraordinary CUPRA 280, the apex of the Leon range and most powerful production SEAT to date, will be on show in ST and five-door guise with both manual and DSG drivetrains available to test. Derivatives of the Leon range will also include FR models, the sports-orientated moniker which indicates more style and technology as well as greater agility in the bends, in both five-door and ST body styles, not to mention the brand new, permanent four-wheel-drive X-PERIENCE for the more adventurous company car driver. Spearheading SEAT’s overall sales success and boosting true fleet sales volume by 80% in 2014, the Leon range offers economy, low emissions – from 87g/km of CO2 – and performance in abundance. With efficiency as standard on every model, even the Leon CUPRA 280 DSG achieves an excellent 44.1 mpg on the combined cycle. The breadth of SEAT’s range will be plain to see; the Mii by MANGO, the nimble city car that is now a favourite among professionals and small families, will be joined by the sporty but economical SEAT Ibiza 5Dr FR 1.6 TDI 105 PS at the arrive-and-drive event. The intelligent seven-seat Alhambra MPV – a vehicle which attracted record sales in 2014 – will also be available to drive. Innovative, safe and yet fun to drive, the utility vehicle is packed with technology, too. Additionally, the all-terrain abilities of the new four-wheel-drive Leon X-PERIENCE can be put to the test by show-goers on the specially configured off-road course. Company Car In Action takes place 16-17 June 2015 at Millbrook Proving Ground. Visitors are invited to visit SEAT at stand SP-10 to meet its dedicated fleet team and take a test drive. Fleet operators can register to take part at www.companycarinaction.com.